If your husband is as hard to shop for as mine is than sometimes you just have to resort to gag gifts! Lucky for you I’ve started my search earlier this year and boy have I found some treats! ha! 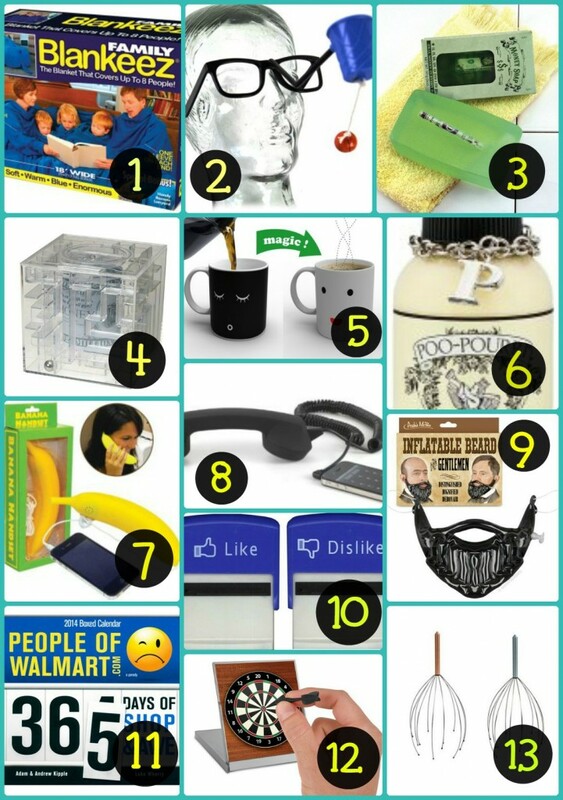 Check out some of the gag gifts/stocking stuffers I’ve found and be inspired for your own gag gift searching! 2.) This one is fun! A Nose Basketball! Just picture your husband trying to make a basket! 3.) This Money Soap is a fun way to give him money as well as encourage personal hygiene! 😉 He has to USE the soap to GET the money! HA! 5.) This Morning Mug actually transforms as you pour hot liquid into it! Umm…. AWESOME! And if this one isn’t “manly” enough for you, here is another one that might work better! 11.) Have you ever seen those “People of Walmart” pictures? Well now you can buy a 365 Day People of Walmart Desk Calendar! 15. Sarcastic Ball: Just like an 8 ball but it gives you sarcastic answers instead. 17.) Spinning Bow Tie! or this fun Pop up Tie! 19) Miracle Berry Fruit Tablets: Ok! This was a total hit last Christmas at our house! The Miracle Berry (Synsepalum dulcificum) is a fruit native to West Africa. It is also known as Miracle Fruit or Miraculous Fruit. You dissolve the tablet on your tongue and it turns sour and bitter foods sweet! Lemons and limes tasted like lemonade and limeade. You can also east grapefruits and all sorts of other bitter foods. 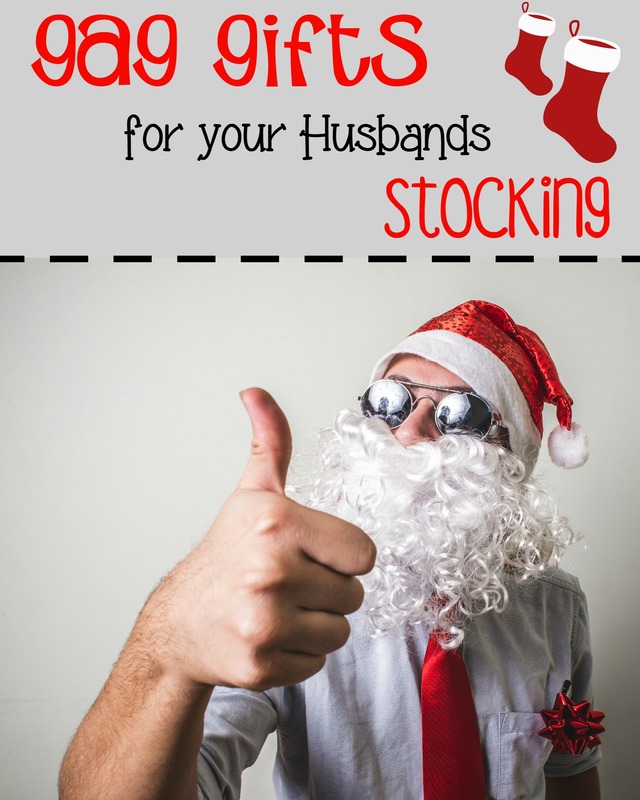 What fun gag gifts have YOU done for your husband?